Finally this shoe pattern is done and I can't believe i'm writing it at last and sharing with my beautiful readers. So grab your crochet supplies and work rounds and rounds of crochet stitches with me. This shoes is made in 3 parts. We will begin with the sole. 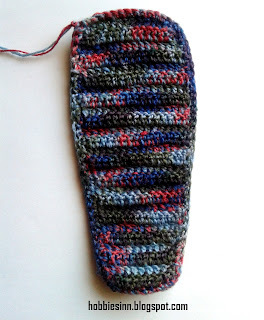 I have already made a tutorial for the crochet sole pattern that can be used in any slipper pattern with sole. 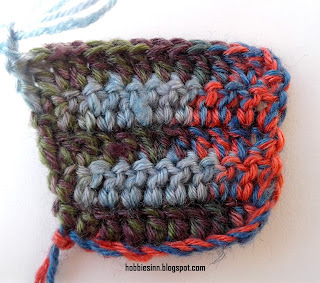 Make next 5 stitches in half double crochet and after that continue in double crochet for 24 stitches. 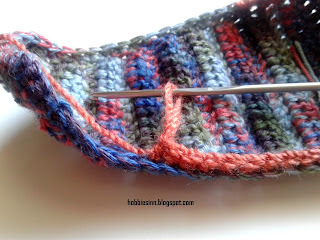 Make next 5 stitches again in half double crochet and continue with single crochet stitches till you reach the end. Join with the first stitch. 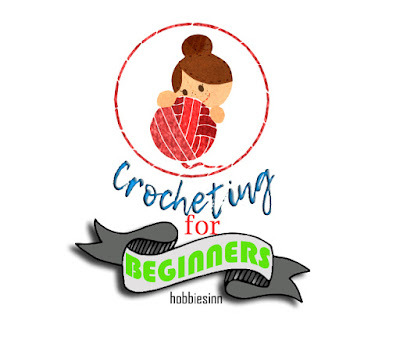 Lets recapitulate: We begin with 49 single crochet stitches, 5 half double, 24 double, 5 half double and 9 to 13 single crochets to complete the row. Round 2 and 3 : 49 half double crochet stitches. 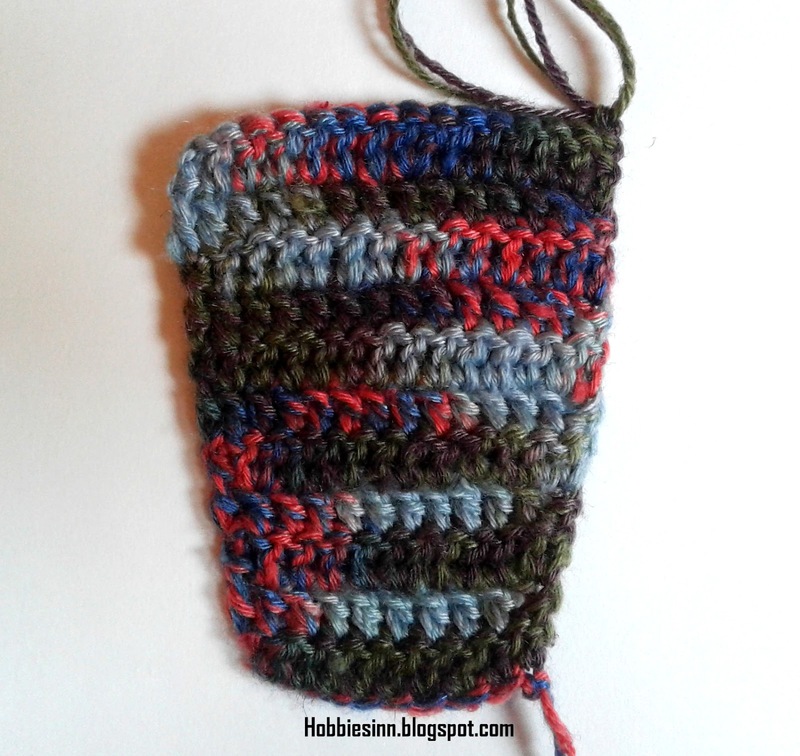 34 double crochet stitches. 9 to 13 half double crochet stitches. Join. Round 4: 5 single crochets. 2 decrements. 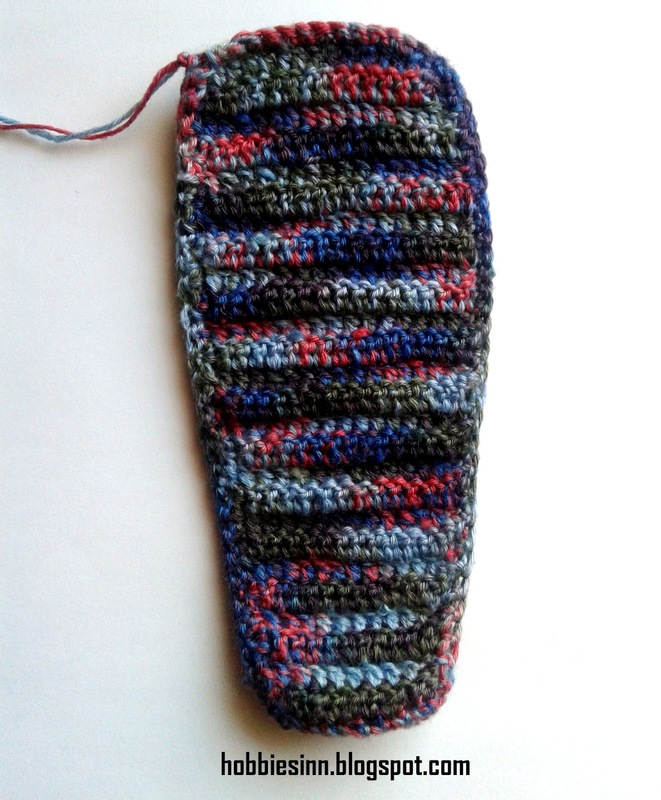 In toe area, 2 single crochet, 1 decrease (* repeat 5 times). 2 decrements, single crochet up to 49th stitch. 5 half double, 24 double, 5 half double and 9 to 13 single crochets to complete the row. Round 5: 39 half double crochets, 2 decrements. 24 double crochets, 2 decrements. Join to complete the row. 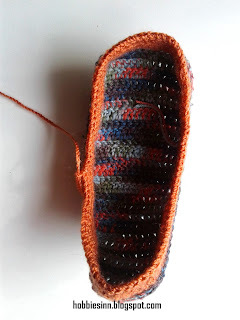 We make decrements and use different height stitches (in same row) so as to make the shoe comfy and snug. It also gives shoe a required shape. This is done in single crochet only. Round 2: Single crochet in each stitch. Round 3: Skip first stitch work from next stitch. Increment 1 in last stitch. Round 4: Work from the first stitch in all stitches. Round 5: Skip first stitch work from next stitch. Increment 1 in last stitch. Round 6 to 9: Repeat steps of round 4 and 5 till 9th row. Round 10: Skip first stitch work from next stitch. Increment 1 in last stitch. Round 11: Work from the first stitch in all stitches. Round 12 to 18: Repeat steps of round 10 and 11 till 18th row. 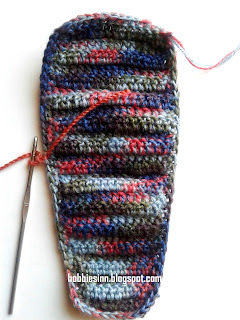 Make a row of single crochet on all sides to make them even. 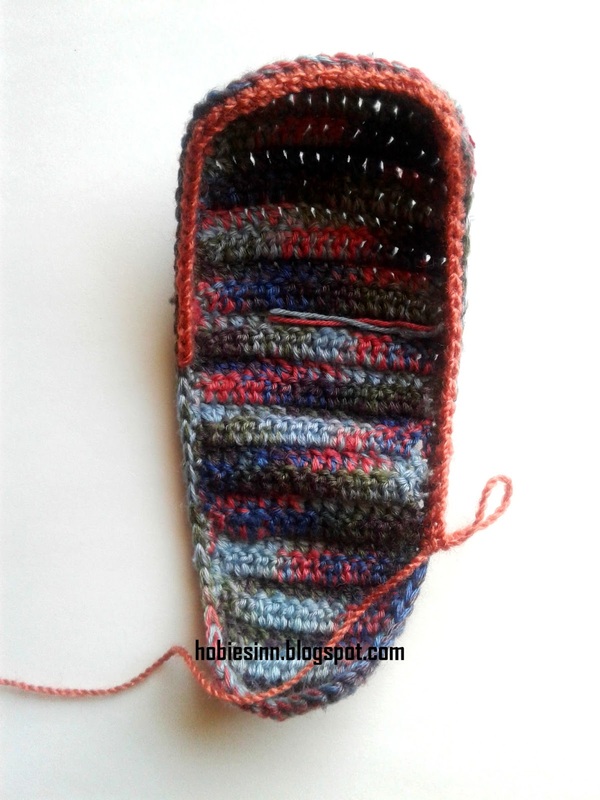 Join the upper patch to the body of the shoe using tapestry needle and yarn end. Fold the upper patch from the side with two ends and join at the edges. Take the lace or string you want to use and insert it through the holes of crochet stitches of the body, taking the ends out from the upper patch right in the center. Make a knot. 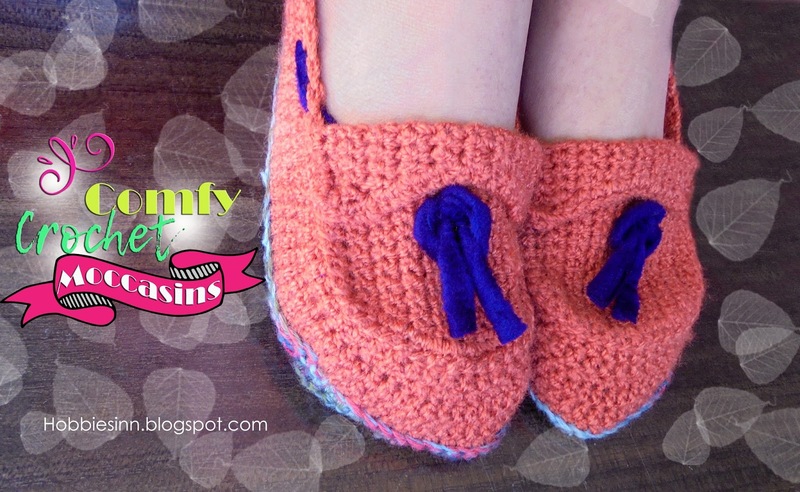 World is flooded with the design inspirations for the slipper or shoes you could make and most of them are required to have a separate sole. This post is about one such easy slipper sole that can be done in crocheting. You can work any kind of slipper on these crochet soles and adjust stitches according to your yarn type and hook size. 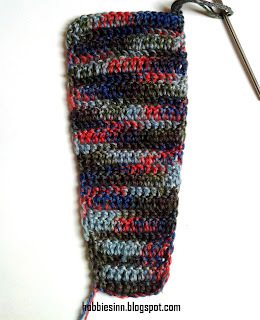 If you are good at knitting, a simple garter stitch patch like this would also do. Round 1: Chain 11, skip the first two stitches and begin from the 3rd one from the hook. 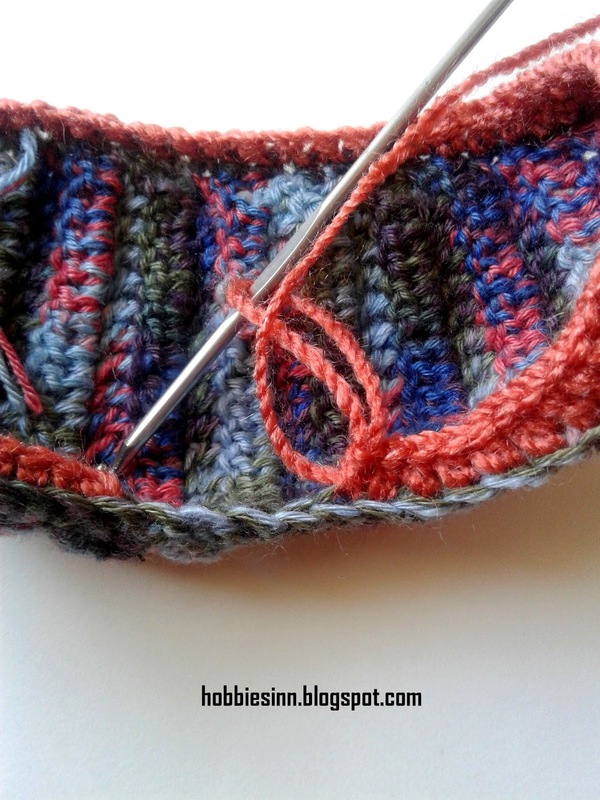 start double crochet and you must have 9 stitches by the end of round 1. Round 2: Chain 2, Make 9 double crochet stitches over the previous round of 9 stitches. Round 4: Chain 2, Double crochet in each stitch. 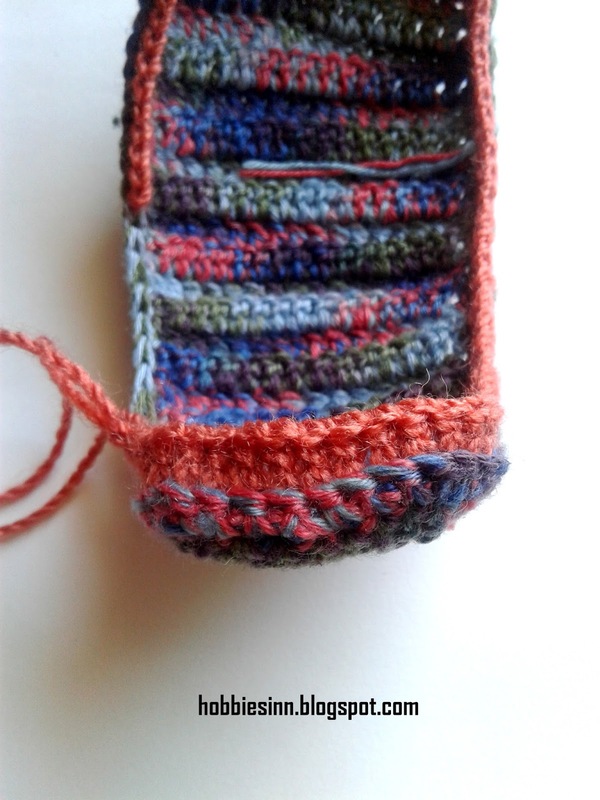 Round 12: Chain 2, Double crochet in each stitch. 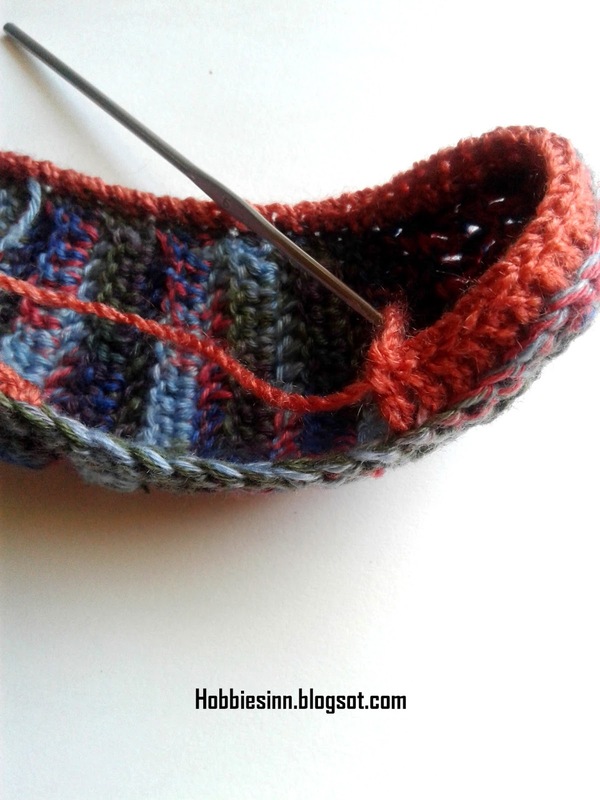 Round 27: Make a row of single crochet stitch all around the patch to smooth out the edges. Fasten off and weave in the end.